With the rapid development of economy, more and more highway is contructed in China. Road marking is essential part for highway, while road marking may become damaged with time passed. If so, in order to remark the road line, old mark need be removed using road marking removal machine. 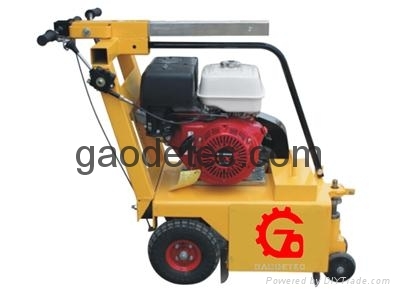 Nowadays, road marking removal machine is divided into hydraulic road marking removal machine and mechanical road marking removal machine.